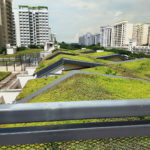 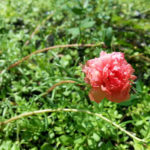 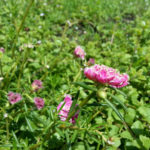 March 18, 2019 3:30 NTUC Punggol Community Daycare Centre My First Skool – Featured Project video from Greenroofs.com on the greenroofsTV channel on YouTube. 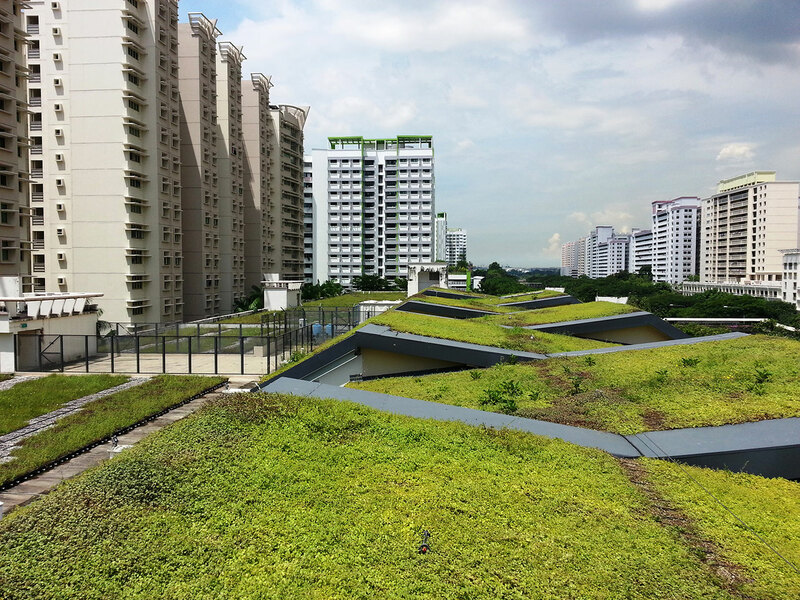 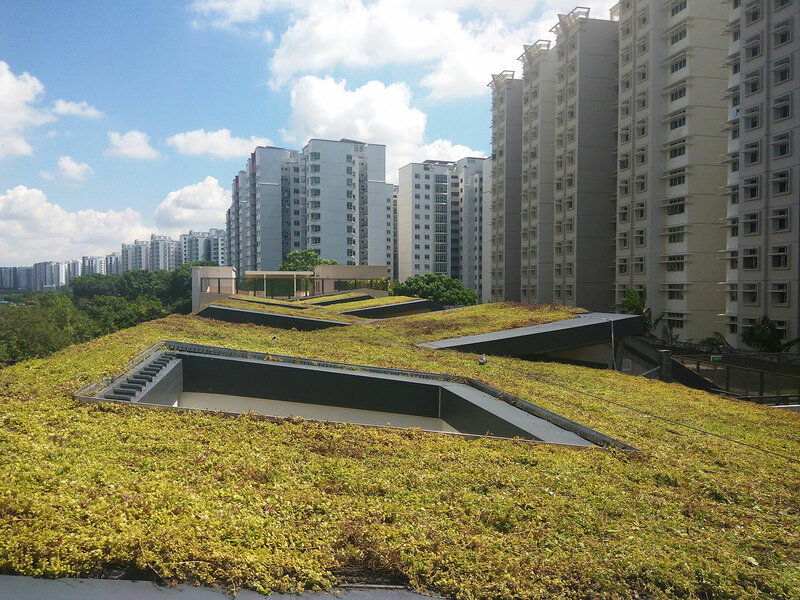 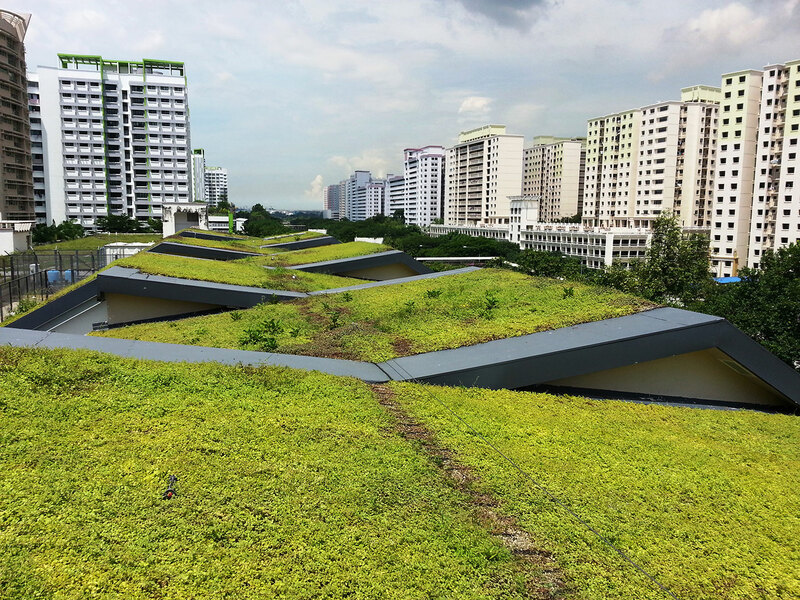 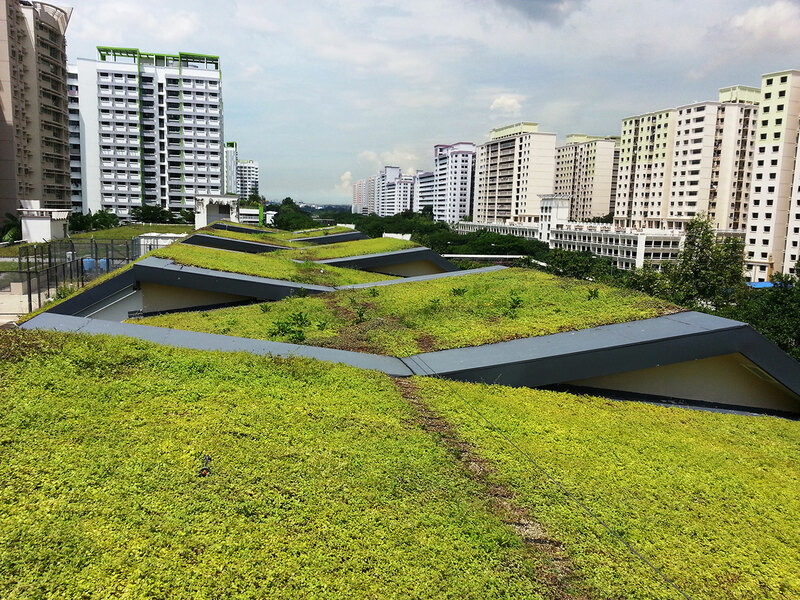 March 18, 2018 Featured Project: NTUC Punggol Community Daycare Centre My First Skool by Linda S. Velazquez on Greenroofs.com. 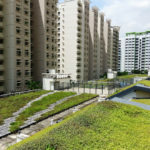 The Housing & Development Board (HDB) is Singapore’s public housing authority, with mandates to plan and develop housing estates to house an entire nation. 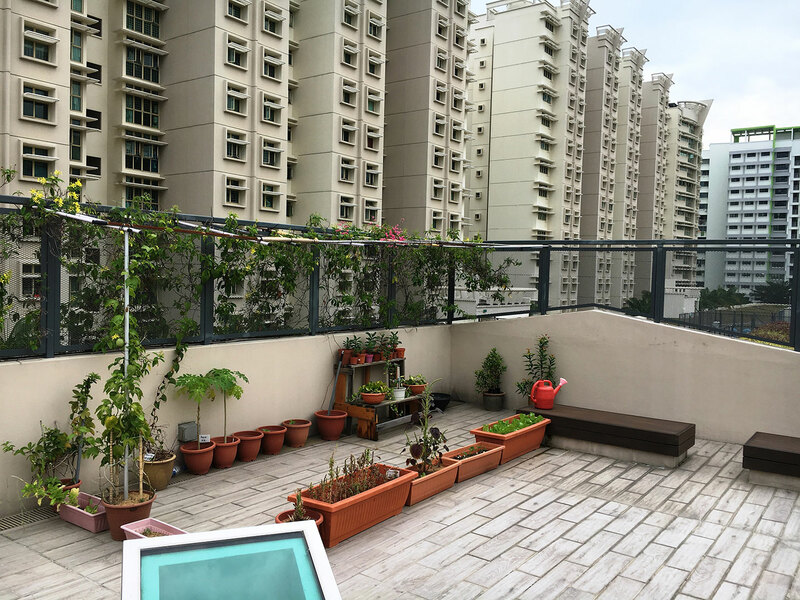 Today, more than 80% of Singapore’s population are living in HDB’s 1 million plus flats in 23 towns across the island. 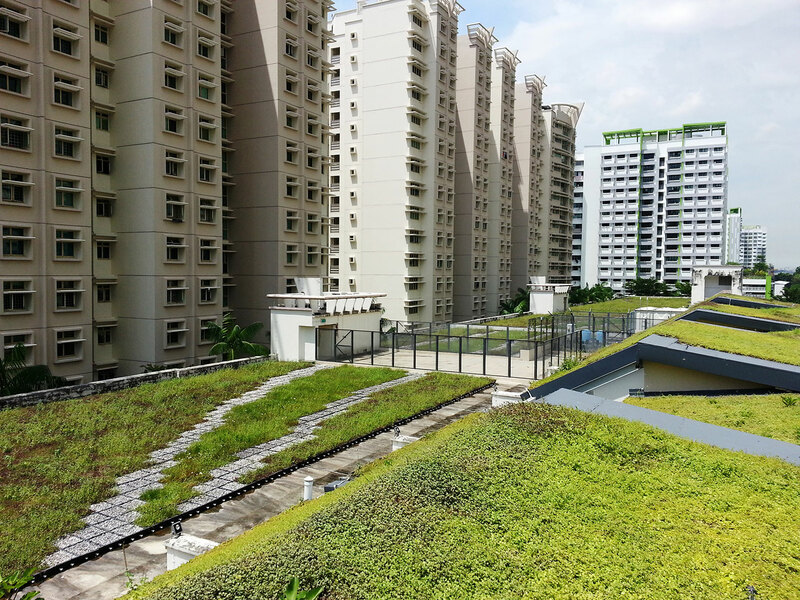 HDB builds homes and transforms towns to create a quality living environment for all Singaporeans. 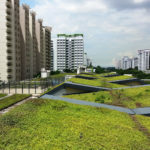 It aims to provide residents with green and sustainable living environment, and bring energy-efficient, water and waste management features into its estates. 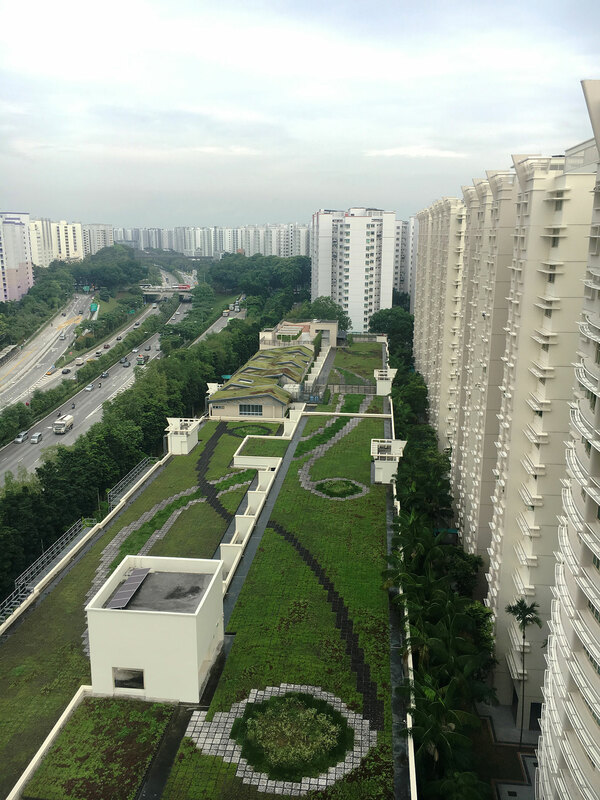 HDB incorporates sky gardens, which include turf, shrubs, trees and recreational features, in the design of newer housing estates. 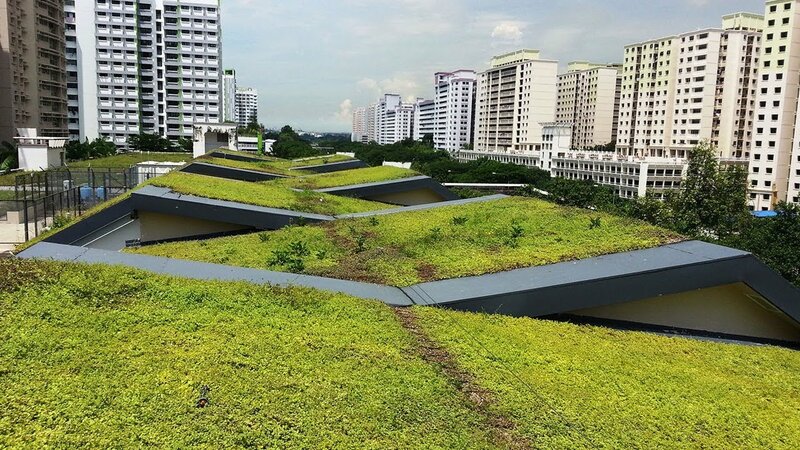 It also retrofits older housing estates with lightweight greenery systems that contain small, hardy, low-profile plants on the roofs. 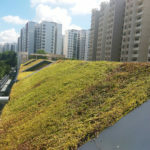 This sustainable and environmentally-friendly approach proved to be a successful greening solution for inaccessible roofs, and a complement to the sky gardens that are normally found on the podium level. 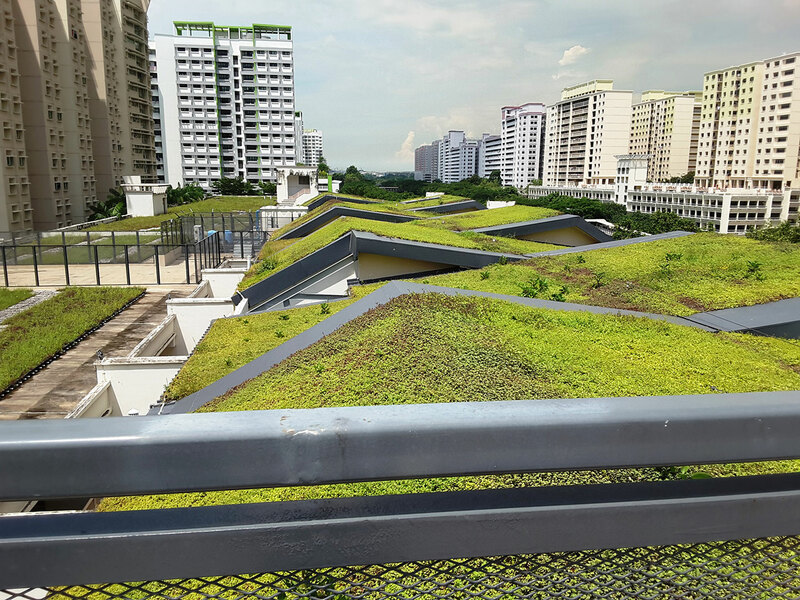 Research by Singapore’s National Parks showed that green roofs not only lowered the building’s surface temperature by as much as 18°C, they also reduced the glare reflected onto neighbouring blocks by about 15%. 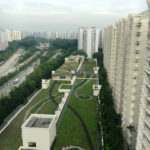 Punggol was selected by HDB to be developed into its first eco-town in Singapore. 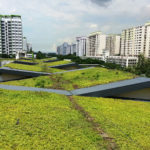 Its Waterway and [email protected] are 2 successful iconic developments alongside with multiple sustainable initiatives and urban solutions in this green community. 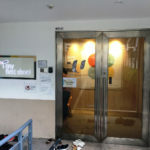 The National Trades Union Congress (NTUC) is a national confederation of trade unions as well as a network of professional associations and partners across all sectors in Singapore. 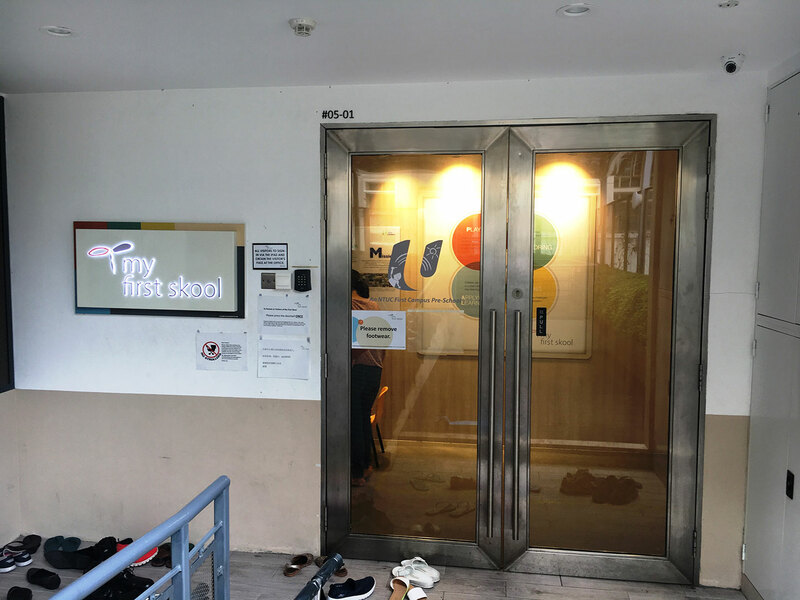 As childcare centre operators, NTUC’s My First Skool vision is to be a thought and practice leader in the development and care of young children, partnering working families in every Singapore neighbourhood. 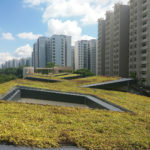 In the NTUC Community Daycare Centre project My First Skool in Punggol, HDB aimed to retrofit the sloped roof of its daycare centre in the area’s housing estate with a green roof to lower interior temperature and air conditioning use, reduce noise level for children having pre-school activities, cut reflective glare and create a pleasant view for the neighbouring blocks. 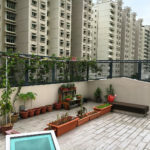 The My First Skool daycare centre is located on top of a 6th-floor car park in the housing estate, being overlooked by the residents living in neighbouring high rise housing blocks. 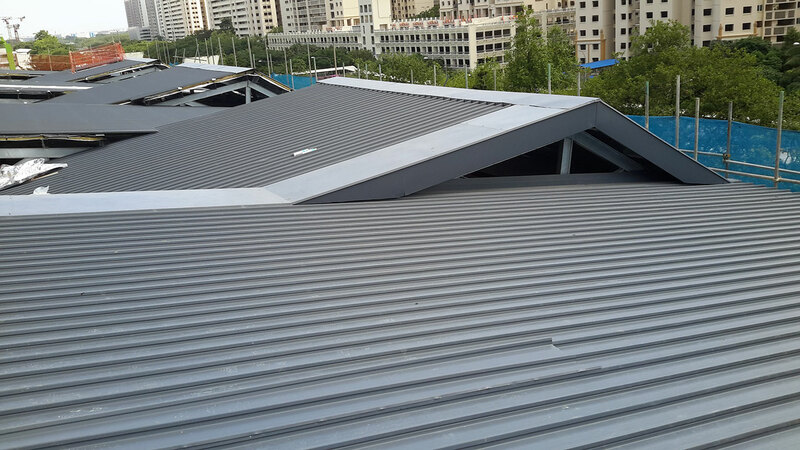 The roof is constructed with structural metal panels, forming 7 individual sections that are pitched at various combinations of gradients at 8°, 29° and 32° for architectural appeal. 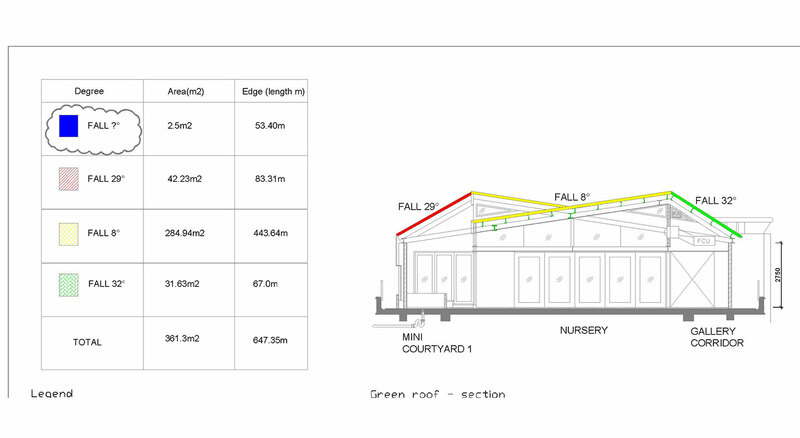 The roof sections are connected together totaling over 850 m2 (9,100 ft2) in area. 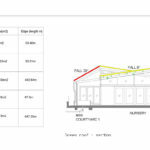 XF301 Light Buildup was selected because of its lightweight and easy installation. 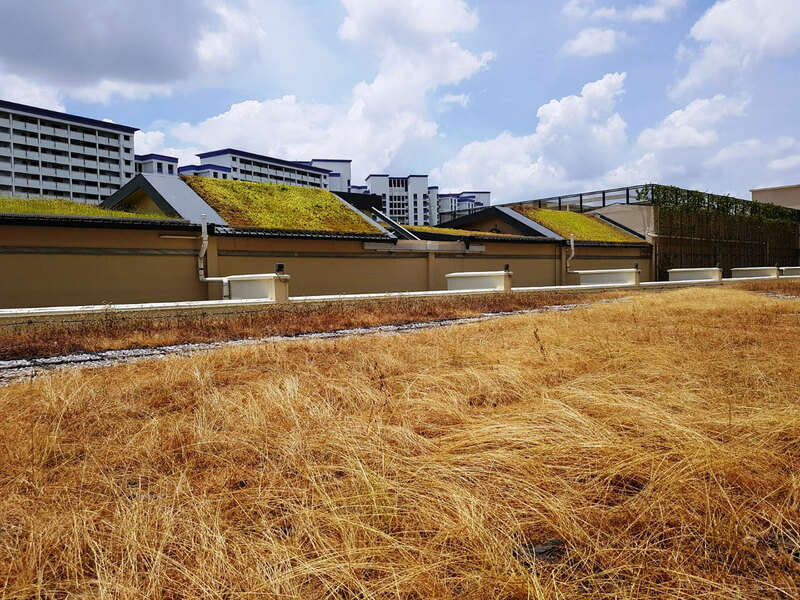 The system consists of an XF301 pre-vegetated mat installed on top of an XF159 water retention fleece, which has the same water retention storage of 25 mm (1″) of typical green roof growing medium. 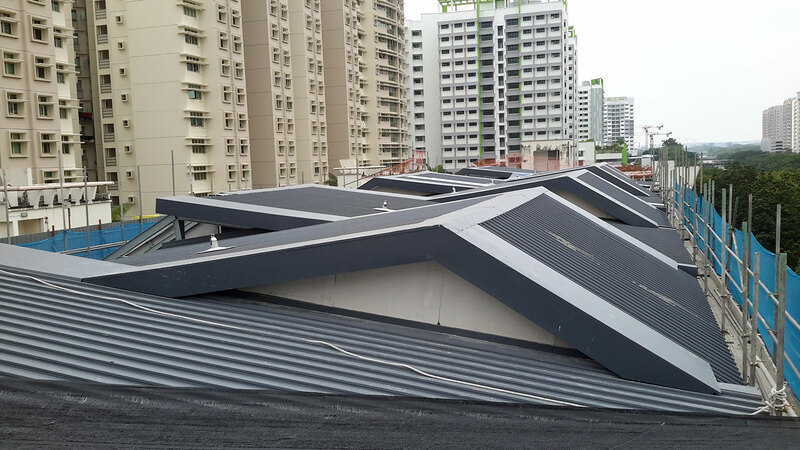 The system weighs only 50 kg/m2 (10 psf) when fully saturated, which is one of the lightest weight systems on the market and is perfect for retrofits where structural loading is limited such as this project. 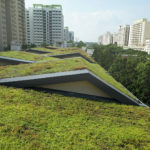 In addition, the My First Skool NTUC Punggol Community Daycare Centre green roof was designed as part of the sustainable water management effort that contributes to the Public Utility Board’s Active Beautiful Clean Waters (ABC) Programme, a strategic initiative to improve the quality of water and life in Singapore. 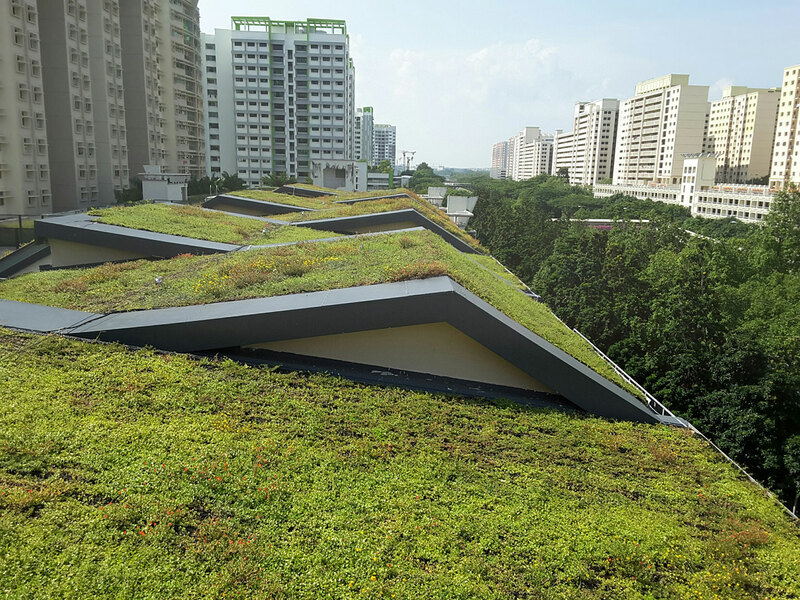 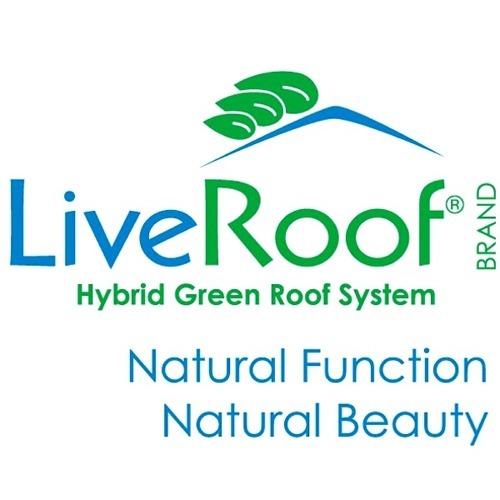 The green roof helps to support community effort to contribute positively to the environment and water bodies. 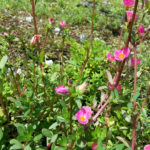 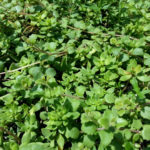 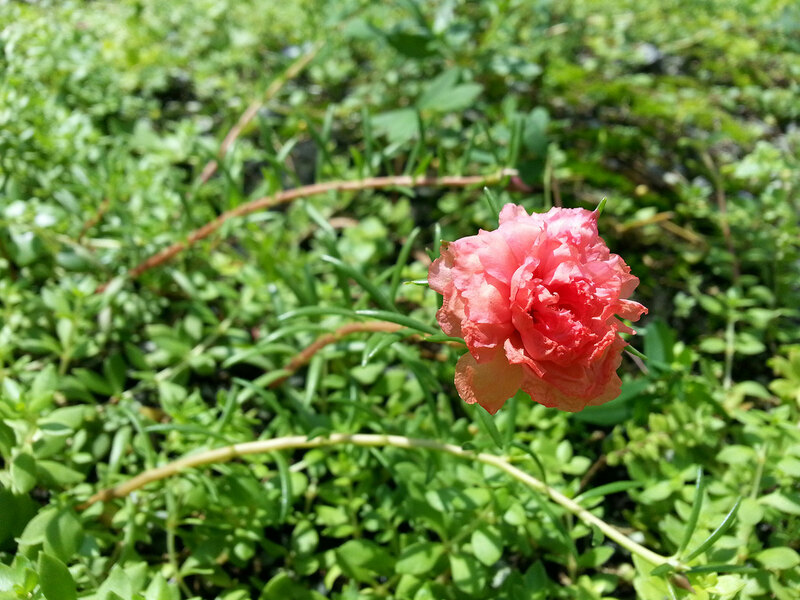 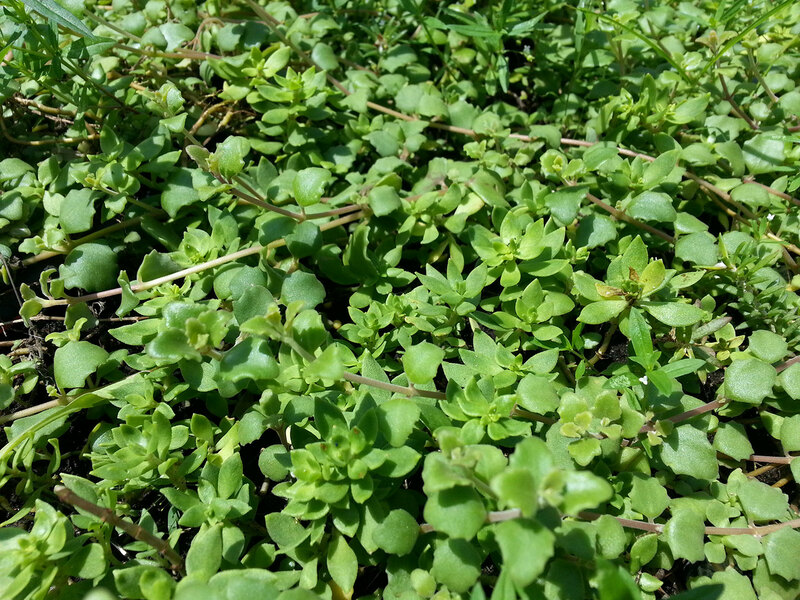 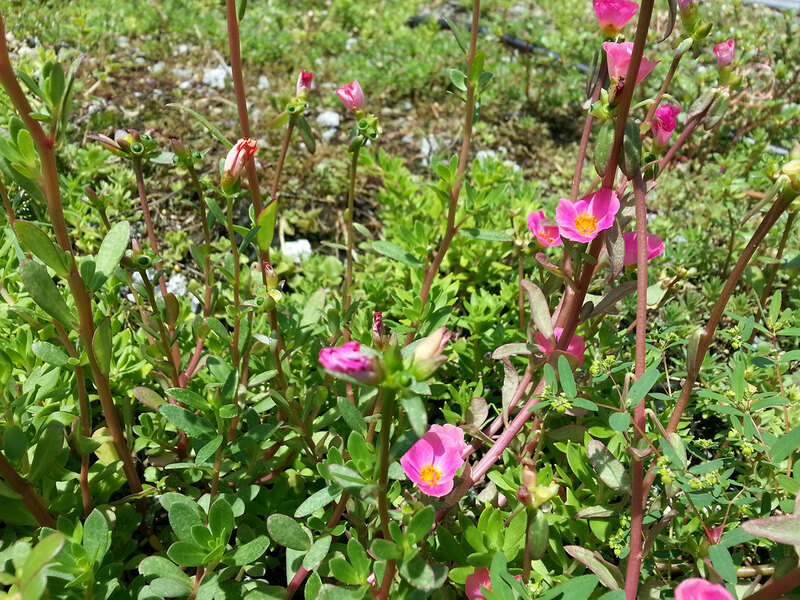 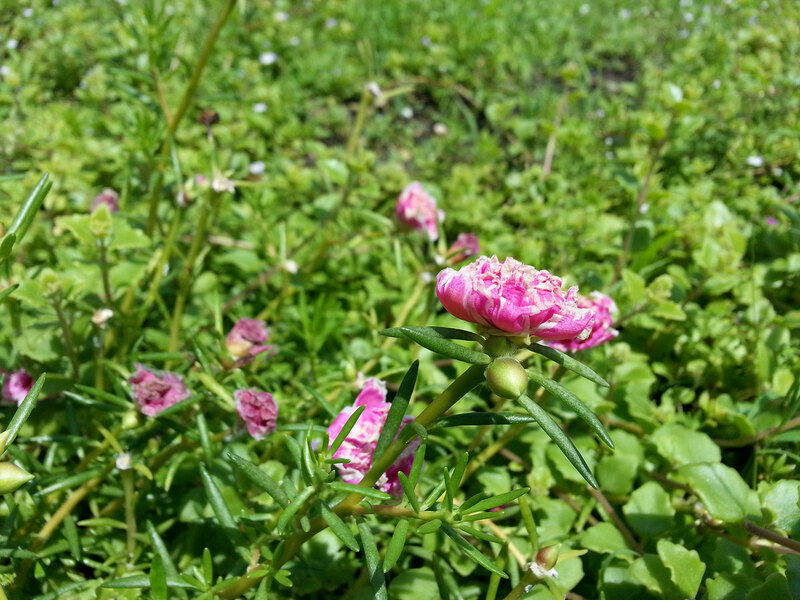 The pre-vegetated mats contain small low-profile tropical succulents such as Sedum sarmentosum, Portulaca grandiflora, Portulaca pilosa, Portulaca oleracea and Plectranthus prostratus that are pre-grown in local nurseries to a minimum vegetation coverage of 80% before delivering to the rooftop for an instant green effect with seasonal visual interest. 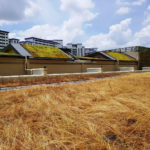 Shade cloth was used to cover the entire green roof initially to allow the plants to root firmly into the water retention fleece underneath. 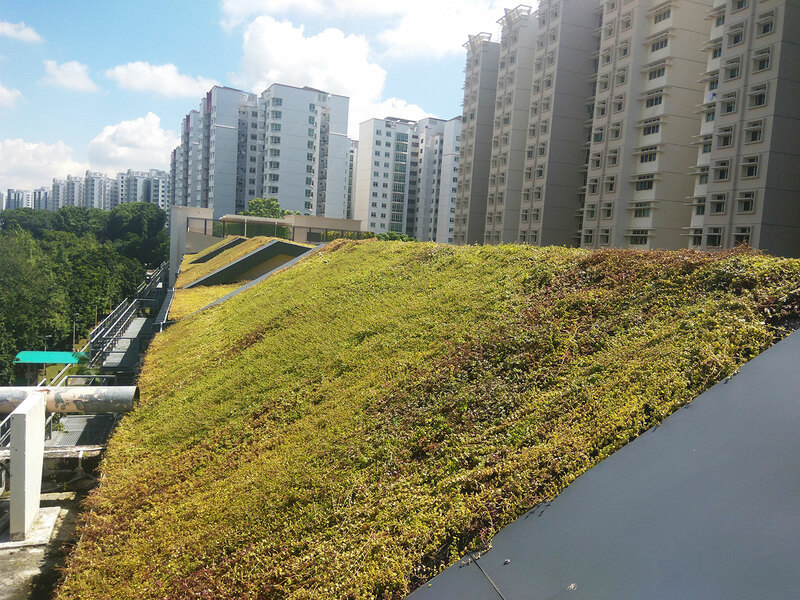 The shade cloth was removed after 2 weeks of recovery and establishment. 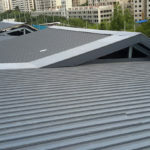 All the components come in roll format – they are easily rolled out and secured on the sloped roofs with no loose growing medium to simplify the installation. 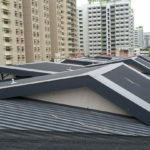 In addition, this mat system is easily retractable and replaceable to allow membrane access should inspection or repair is needed in the future.